The powerfully moving story of the Russian Jewish choreographer who used dance to challenge despotism Everyone has heard of George Balanchine, but few outside Russia know of Leonid Yakobson, Balanchine's contemporary and arguably his equal, who remained in Lenin's Russia and survived censorship during the darkest days of Stalin. Like Shostakovich, Yakobson suffered for his art and yet managed to create a singular body of revolutionary work that spoke to the Soviet condition. His ballets were considered so explosive that their impact was described as "like a bomb going off." Challenged rather than intimidated by the restrictions imposed by Soviet censors on his ballets, Yakobson offered dancers and audiences an experience quite different from the prevailing Soviet aesthetic. He was unwilling to bow completely to the state's limitations on his artistic opportunities, so despite his fraught relations with his political overseers, his ballets retained early-twentieth-century movement innovations such as turned-in and parallel-foot positions, oddly angled lifts, and eroticized content, all of which were anathema to prevailing Soviet ballet orthodoxy. For Yakobson, ballet was a form of political discourse, and he was particularly alive to the suppressed identity of Soviet Jews and officially sanctioned anti-Semitism. He used dance to celebrate reinvention and self-authorship-the freedom of the individual voice as subject and medium. His ballets challenged the role of the dancing body during some of the most repressive decades of totalitarian rule. 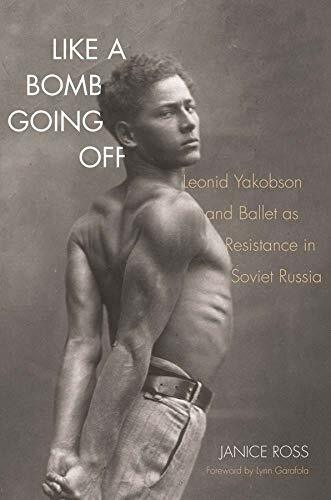 Yakobson's work unfolded in a totalitarian state, and there was little official effort to preserve his choreographic archive or export knowledge of him to the West-gaps that dance historian Janice Ross seeks to redress in this book. Based on untapped archival collections of photographs, films, and writings about Yakobson's work in Moscow and St. Petersburg for the Bolshoi and Kirov ballets, as well as interviews with former dancers, family, and audience members, this illuminating and beautifully written study brings to life a hidden history of artistic resistance in the Soviet Union through the story of a brave artist who struggled his entire life against political repression yet continued to offer a vista of hope.